Students at Aquinas College in Stockport, Greater Manchester, will soon be able to get credits for a well-supported historical deconstruction of Jon Pertwee’s kung-fu-and-velvet-smoking-jacket approach to executing the duties of a Time Lord. 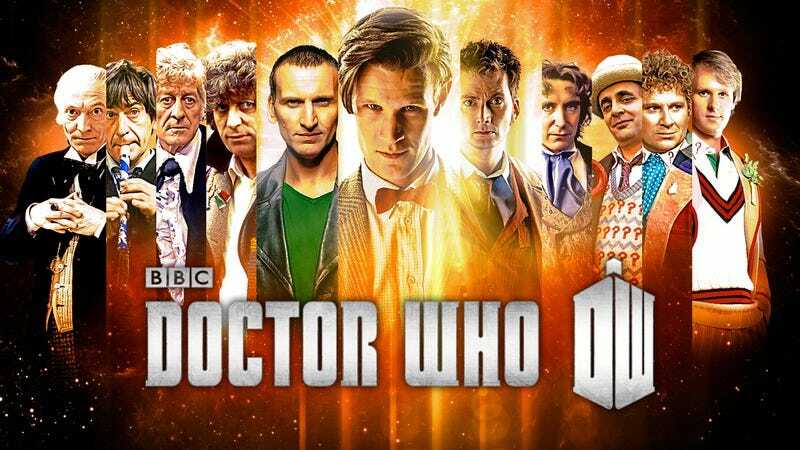 According to the BBC, the U.K. college will be offering an 11-week course on various aspects of the long-running science-fiction serial, including a retrospective of all of the Doctors, the role of companions, and production details. Instructor Michael Herbert, who usually tackles trade unions and “history of working people in Manchester,” admits that a course on Gallifreyan/Dalek galactic politics is a little outside the college’s wheelhouse, but maintains the subject has sociological relevance. “It’s about both the program and the society it was shown in,” Herbert said. “The role of women is quite interesting, the way that has evolved over the years. Now the Doctor’s companions are very feisty and articulate whereas in the past they sometimes had a supportive role…and that reflects the changes in society.” Put another way, Tom Baker’s Doctor repeatedly tricked Sarah Jane Smith into harm’s way with a wry tug of his scarf, Matt Smith’s Doctor repeatedly tricked Amy Pond into harm’s way with an awkward twist of the bow tie, and there’s valuable social insights to be gleaned from the differences. Of course, Herbert makes no mention of the Doctor’s male companions (probably because most of them are better left unmentioned). Another objective of the course is a better understanding of the series’ full run, which ran from 1963 until 1989 before returning in 2005 to a wider audience. Herbert explains, “For those people who have, in particular, come to the show in the past 10 years, the idea is to tell them that there’s a huge history behind the programme and look at the various eras of the Doctors before Peter Capaldi.” In other words, stop paying attention to that delightfully cranky, wrinkled Scotsman currently playing the Doctor. There are literally decades of cranky, wrinkled Time Lords out there just waiting to be appreciated.